How do I love thee? Let me count the ways. Fifty-five ways. Or fifty-five little chains to start. I love something easy, something you can just make as soon as you decide you want it. 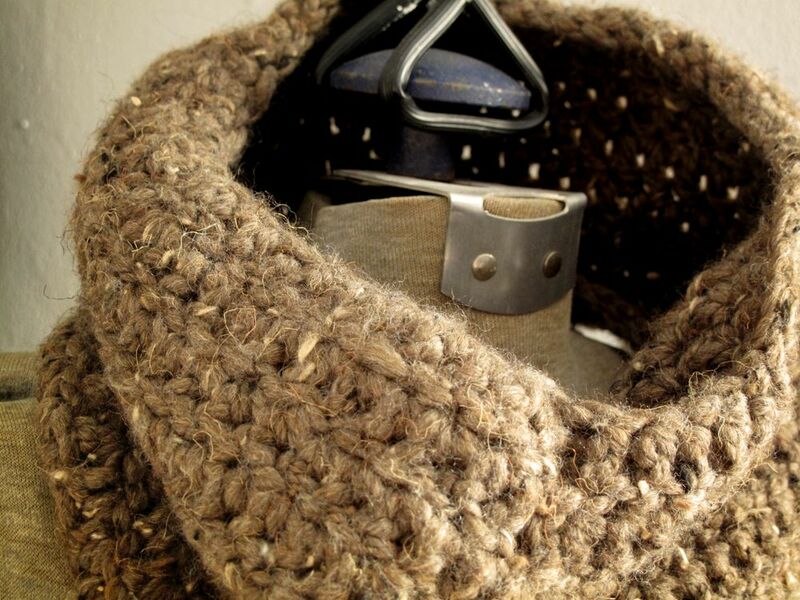 I'd had an image of this woolly, chunky cowl in my mind for a bit. Over Christmas break, on an exciting trip to Michaels, I grabbed a hook and a skien and made it happen. It took no time, it's just a tube of double crochet. 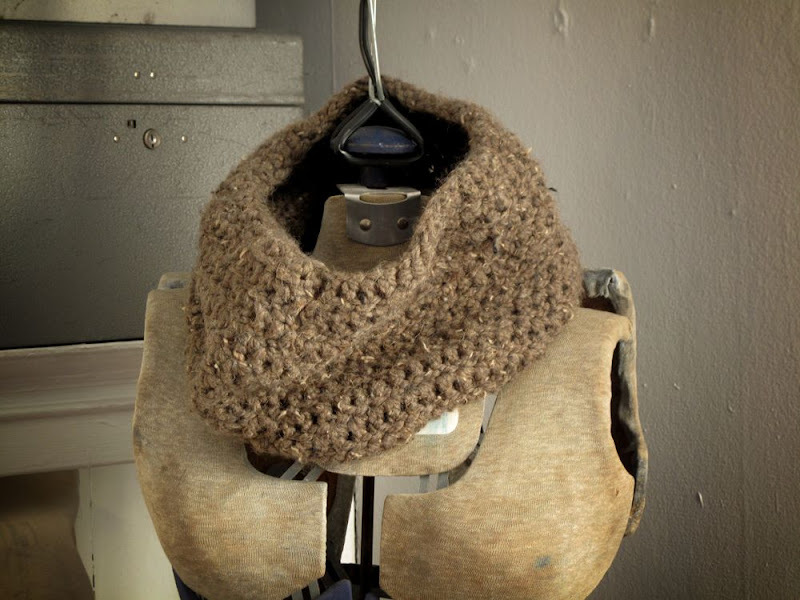 This is a great project for a beginner. It's almost too simple to write a pattern for, but I will, for formality's sake. ch 55, sl st in 1st ch st to make a ring. rnds: ch 3, dc into next ch. continue with dc in each chain until the end and sl st into 3rd ch. to finish: sl st and weave in tails. Repeat until you're out of yarn or it is the height you want it. This took exactly all of one skein, it worked out perfectly with about 3 inches of tail on either end. I bought another skein (which is, by the way, this Lion Brand Yarn, Wool-Ease in Barley) because I thought I wanted it to be really huge and floppy and that I might double it - now that I've worn it like this, I quite like it as it is and may make myself a matching hat. I used a N/9.00MM hook. Beautiful. I'll be checking my mailbox for one. This is so cute! I am making one when I get home!! The hook size would have been helpful for me to mention, sorry about that! It's a N/9.00MM. This is so cute! I am going to work on one this week! I ended up making one of these with a skein of multicolored yarn and it came out beautiful!